8 am to 8 pm Monday through Sunday. Grill Tanks Plus LLC is a unique, family oriented business; we are changing the way people grill. 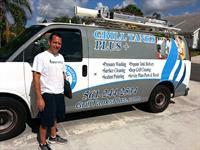 Serving all of Palm Beach County, no other BBQ Grill Cleaning Company takes the kind of pride we take in our work. Our BBQ Grill Repair experts can service any grill working closely with each manufactures unique specifications. In fact, we can resolve most issues with just one service call. How’s the grill looking? You can try and clean it yourself, but it’s messy and time-consuming; just call us and we will restore it to like new conditions. 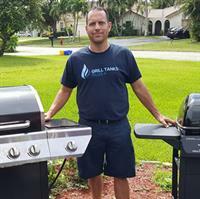 When it comes to BBQ Grill Cleaning and Repair, Grill Tanks Plus is the industry leader! Tired of lugging that tank around? 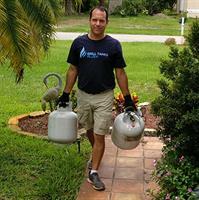 We offer a Propane Tank Exchange service as well. It’s easy to schedule and we will even hook it up for you and make sure there are not leaks! We also feature high-value service plans for all our services with auto-scheduling for your convenience.